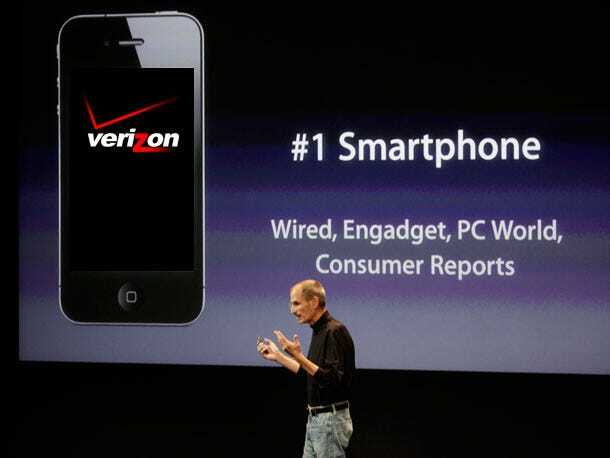 Verizon may have sold 500,000 iPhones before it shut down preorders on its website, The Street reports.JP Morgan analyst Phil Cusick threw out the number in a report based on previous Verizon smartphone sales announced. Verizon said it sold more iPhones in the first two hours of preorders than it sold of any phone on a launch day. The previous record for a Verizon launch was 100,000 DROID phones in November 2009. Since Verizon continued to sell iPhones throughout the day, Cusick estimates it sold 500,000. If this number is accurate, it could be the biggest launch for any one carrier. Last summer, when the iPhone 4 was released, Apple announced that it had 600,000 preorders, but that was with a few carriers. For some context on how big 500,000 preorders is, Piper analyst Gene Munster (who admittedly has a tendency to miss Apple estimates low) forecasted 1.1 million Verizon iPhone sales for Q1. Apple could be half way there after day one. For more news on Apple throughout the day check SAI.